you will be delighted to know that the November newsletter is now available on the Deaf church page – please click HERE to go straight to that page now!! If you were looking for the October newsletter – apologies for missing putting it on the page last month. It’s there now!! Better late than never! 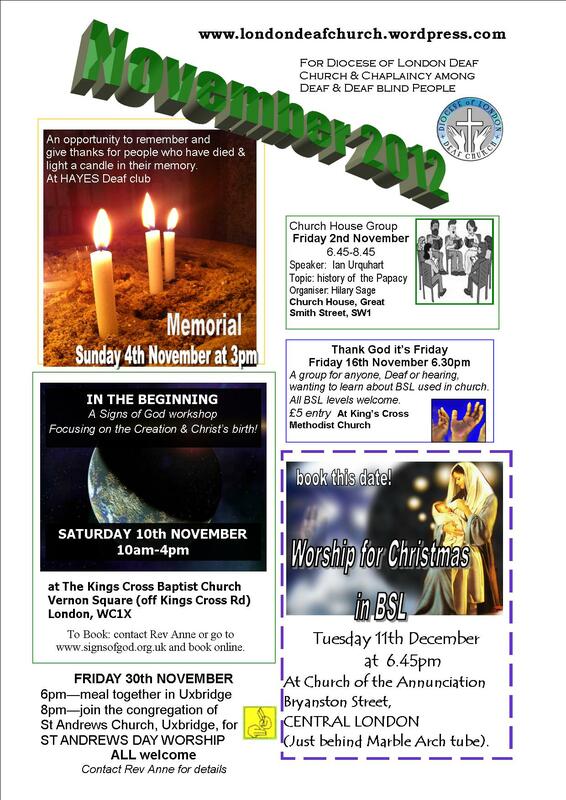 Hope you can come along to some of the special events next month.